There is a lot to be said about the Dell EqualLogic Multipathing Extension Module (MEM) for vSphere. One is that it is an impressive component that without a doubt will improve the performance of your vSphere environment. The other is that it often not installed by organizations large and small. This probably stems from a few reasons. The typical user is uncertain of the value it brings. vSphere Administrators might be under the assumption that VMware’s Round Robin will perform the same thing. The assumption that if they don’t have vSphere Enterprise Plus licensing, they can’t use MEM. What a shame, because the MEM gives you optimal performance of vSphere against your EqualLogic array, and is frankly easier to configure. Let me clarify, easier to configure correctly. iSCSI will work seemingly okay with not much effort. But that lack of effort initially can catch up with you later; resulting in no multipathing, poor performance, and possibly prone to error. There are a number of good articles that outline the advantages of using the MEM. There is no need for me to repeat, so I’ll just stand on the shoulder’s of their posts, and provide the links at the end of my rambling. The tool can be configured in a number of different ways to accommodate all types of scenarios; all of which is well documented in the Deployment Guide. The flexibility in deployment options might be why it seems a little intimidating to some users. a standard vSwitch for iSCSI traffic will be used with two physical uplinks (vmnic4 & vmnic5) The vSwitch created will be a standard vSwitch, but it can easily be a Distributed vSwitch as well. Jumbo frames (9000 bytes) have been configured on your SAN switchgear, and will be used on your ESXi hosts. A desire to accommodate VMs that used guest attached volumes. When applying to your environment, just tailor the settings to reflect your environment. 2. Extract the MEM so that it resides in a C:\MEM directory. You should see a setup.pl file in the root of C:\MEM, along with a dell-eql-mem-esx5-[version].zip Keep this zip file, as it will be needed during the installation process. 2. 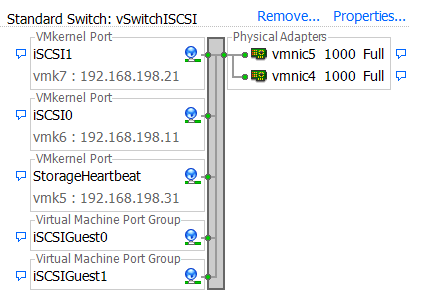 Delete any previous vSwitch that goes into the pNICs for iSCSI. Will also need to remove any previous port bindings. This will walk you through a series of variables you need to enter. It’s all pretty straightforward, but I’ve found the more practical way is to include it all as one string. 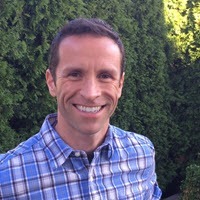 This minimizes mistakes, improves documentation, and allows you to just cut and paste into the vSphere CLI. The complete string would look like this. Take a look at the VMkernel ports created by MEM, you will see the NIC Teaming Switch Failover Order has been set so that one vmnic is set to “Active” while the other is set to “Unused” The other VMkernel port has the same settings, but with the vmnics reversed in their “Active” and “Unused” state.The Port Groups you create for VMs using Guest attached volumes will take a similar approach. Each Port Group will have one “Active” and one “Standby” adapter (“Standby” not “unused” like the VMkernel). Each Port Group has the vmnics reversed. When configuring a VM’s NICs for guest attached volume access, you will want to assign one vmnic to one Port Group, while the other is assigned to the other Port Group. Confused? Great. Take a look at Will Urban’s post on how to configure Port Groups for guest attached volumes correctly. If you need to rework your existing setup, simply put each host into Maintenance Mode one at a time and perform the steps above with your appropriate information.Next, take a look at your existing Datastores, and if they are using one of the built in Path Selection Policy methods (“Fixed” “Round Robin” etc. ), change them over to “DELL_PSP_EQL_ROUTED”If you have VMs that leverage guest attached volumes off of a single teamed Port Group, you may wish to temporarily create this Port Group under the exact same name so the existing VMs have don’t get confused. Remove this temporary Port Group once you’ve had the opportunity to change the VM’s properties.So there you have it. A simple example of how to install and deploy Dell’s MEM for vSphere 5. Don’t leave performance and ease of management on the shelf. Get MEM installed and running in your vSphere environment. The instructions provided was under the assumption that vSphere 5 was being used. Under vSphere 5.1 and the latest version of MEM, the storage heartbeat is no longer needed. I have modified the post to accommodate, including the link below that references the latest Dell EqualLogic MEM documentation. I’d like to thank the Dell EqualLogic Engineering team for pointing out this important distinction. Comac Hogan’s great post on how the MEM works it’s magic.